Fathom, Carnival Corp.’s social-impact cruise line, has been given permission to visit Cuba on cruises scheduled to go to the Dominican Republic. Fathom will offer a port call in Santiago de Cuba, on the island’s southeast coast, on six cruises next year that primarily go to Amber Cove, Carnival’s port in the Dominican Republic. The seven-day cruises will take place during the weeks of February 26, March 12 and 26, April 9 and 23, and May 7. Prices start at $599 per person. The cruises depart Miami on Sundays. Fathom said the Santiago de Cuba port call will occur on Tuesday from 9 a.m. to 6 p.m. Travelers already booked for those cruises will need to add a $75 Cuban visa. Fathom’s ship, the Adonia, already sails every other week to Cuba with stops in Havana, Cienfuegos and Santiago. Prices for those cruises start at about $1,900 per person. In November, Carnival Corp. said that Fathom is discontinuing cruise operations next June. 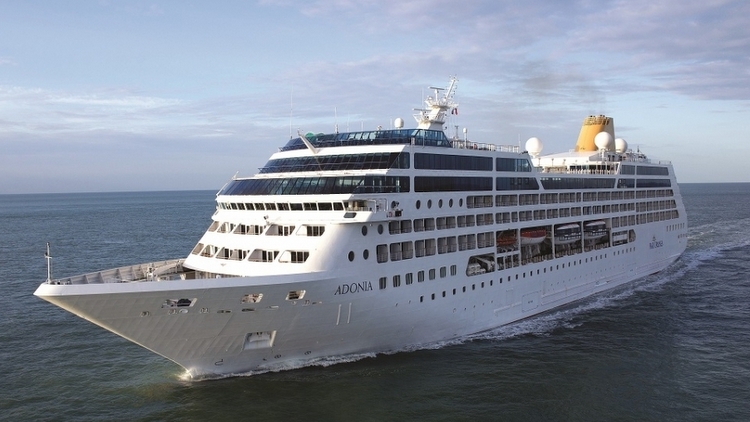 The Adonia will be returned to the P&O Cruises fleet. In April 2015, launched Carnival Corporation with large appearance topical social cruise brand Fathom . The unusual for the Carnival Group company offered from Miami / Fl . alternating, “effects-based” cruises in the Dominican Republic and later to Cuba to. Those in charge of the group decided that for the cruises of Fathom Adonia use. The smallest ship of P & O Cruises , another Carnival offshoot offers, maximum 710 beds. Carnival’s marketing campaigns in the US have identified around a million people who want to be socially engaged during their holidays by working on economic and environmental projects. And these were the offers of the shipping company. From April of 2015 to the Adonia took from Miami seven-day trips to Amber Cove . This is the main retreat port in the north of the Dominican Republic near Puerto Plata. For three days, the guests were invited to take part in various activities for the benefit of the local population. Fathom cooperated locally with two local social organizations, which received a share of the proceeds from the sale of cruises. In the current year it was announced that Cuba would be started as a further destination. At the end of November 2016, Carnival’s sources indicated that the special socially responsible activities of the company would be terminated with effect from June 2017. An official Carnival statement was not available. – Now it is official: P & O informs that the Adonia back to the P & O fleet controls. There she is, the third P & O Adults-only ship called ” Discovery Itineraries company”. These “discoveries” bring guests to small, fancy destinations and places as well as unique cities and new cultures. The destinations to be discovered are located around the Mediterranean Sea, Iceland, the East Atlantic and the Caribbean. The travels of Adonia in 2017 are now bookable. Small ship Adonia is to rejoin the P&O Cruises fleet in 2017 after just a year operating for US-based social impact sister brand Fathom. Parent company Carnival Corporation confirmed that the 710-passenger vessel would be returning to Southampton-based P&O Cruises for next summer. 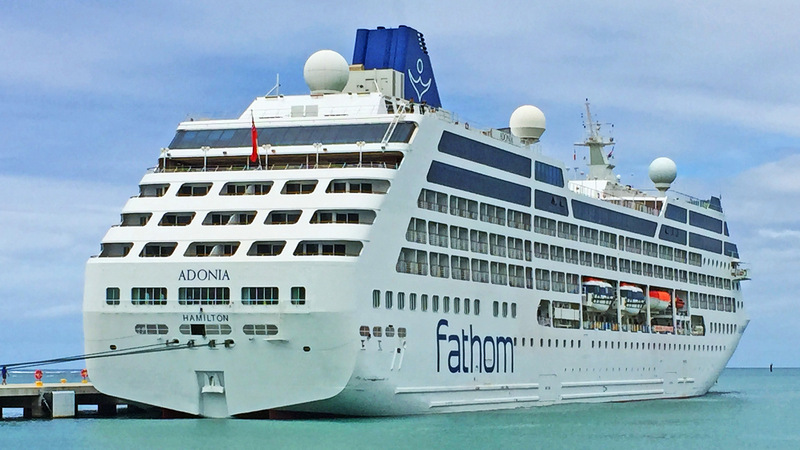 Adonia moved across to Fathom in May to launch the first US departures from Miami to Cuba in more than 50 years. The ship was revamped during a period in dry dock in the Bahamas and has also been running alternate seven-day cruises to the Dominican Republic, using Amber Cove, Carnival Corporation’s dedicated port on the north of the Caribbean island. The corporation announced earlier in the month that social impact excursions pioneered by Fathom brand in the Dominican Republic are to be extended to six of the group’s other cruise lines including P&O Cruises. The shore trips include helping at a womens’ chocolate-making co-operative and at a craft-making business using recycled paper. The company said at the time that it was also exploring additional opportunities globally and with sister brands to bring the Fathom concept on board and on shore to deliver “engaging, purposeful experiences” to a broader audience of travellers. Carnival Corporation has requested approval from Cuba to sail there with other brands from June 2017. The spokesman said: “We plan to continue sailing to Cuba for many years to come based on the success of our first cruises to the country, which have proven extremely successful. However, demand for Fathom’s Cuba cruises outstripped interest for the Dominican Republic sailings. Prices for sailings to Amber Cove have been discounted from $449 to $299 for an outside cabin for departures up until May 21, 2017, while the lowest priced Cuba sailings currently cost $999 for an inside cabin.